Spring has finally hit and the grounds are starting to come back to life. The buttercups are one of my favorite Spring indicators, and they look so fresh in a vase on the window. 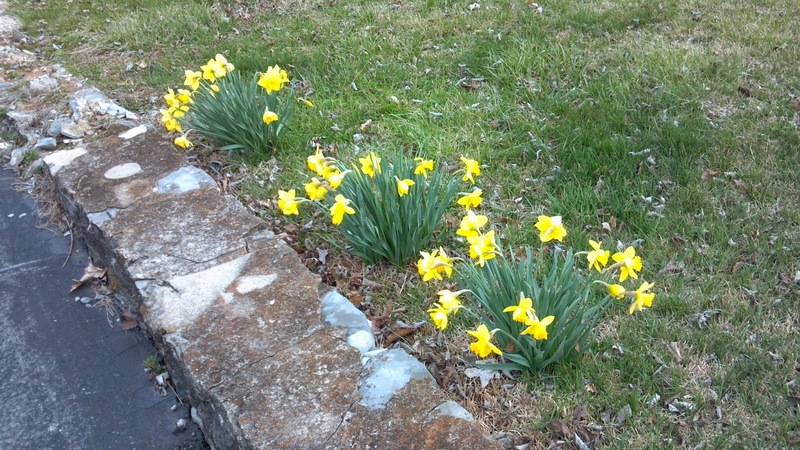 This year I'll be deviding these bulbs out into more appealing areas than just three clumps by the driveway. 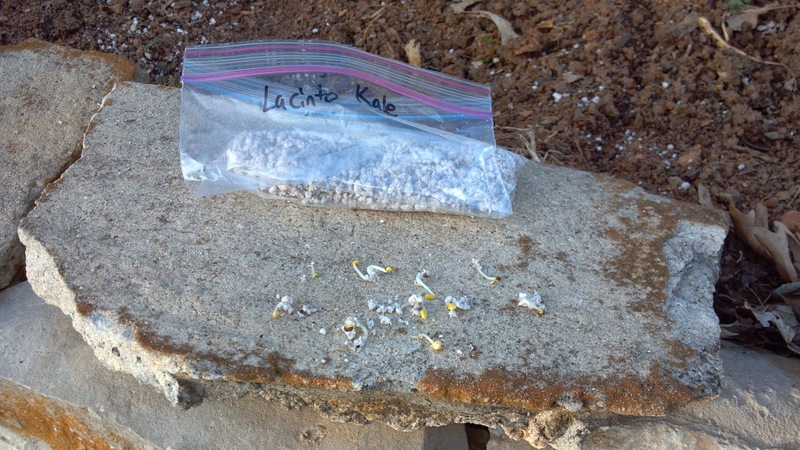 I'm trying a method of cold germinating seeds this year. Add some perlite and a few tablespoons of water to a plastic bag and add a couple seeds. A few weeks later you'll have some great sprouts, ready for the garden. Still waiting to see if these produce any faster or better than just dropping the seed into the ground. The asparagus patch is yielding well. This is the second year, but there is already enough for a small serving for breakfast. I'd never had raw asparagus before now; delicious! Sweet and crunchy, much like a snow pea. 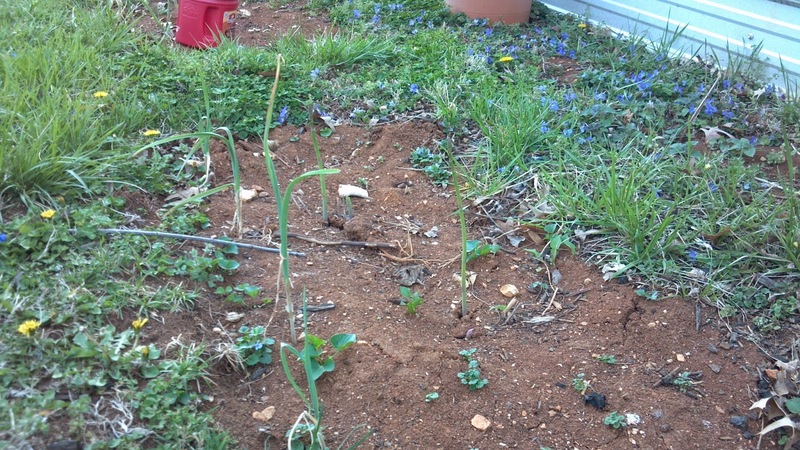 Some garlic I had tossed onto the compost pile produced a mass of garlic shoots, so they got transplanted to the front of the asparagus patch. 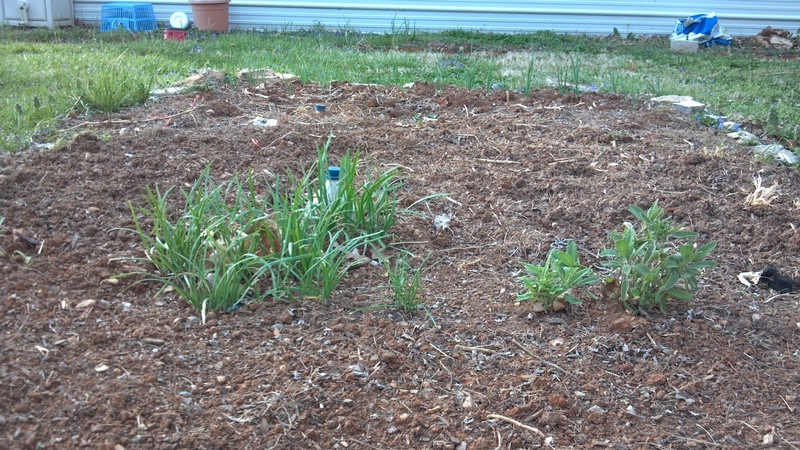 This bed that produced such poor peppers last year will be the site for my tomatoes. The area gets shaded pretty well during the hot part of the day. I'm hoping the tomatoes will benefit from the break. Some perennials made their way back; chives in the front, horehound in the middle, and then parsley and more chives at the end, off the frame. This was the emergency pepper patch last year, but this year will see some trellised beans, carrots, and turnip greens followed by beets. 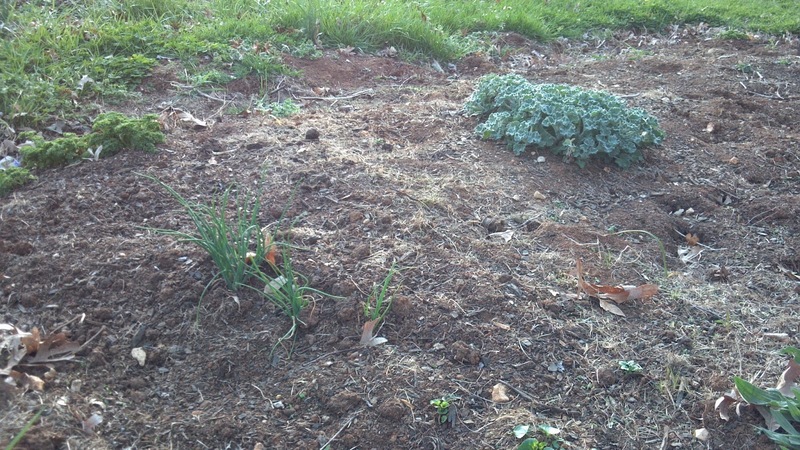 The chives on the left established really well last year, and the sage plants survived the colder than usual winter. And then we have the mother strawberry patch. I planted 100 plants last spring, pulled out about 50 plants to put along the new fence row, and there are still 150 or so plants in the original bed. I guess I'll just let the mother patch continue to make runners and move those around the yard as needed for berry production. Lifetime supply of strawberry plants, and a great little ground cover for my blackberries to boot! 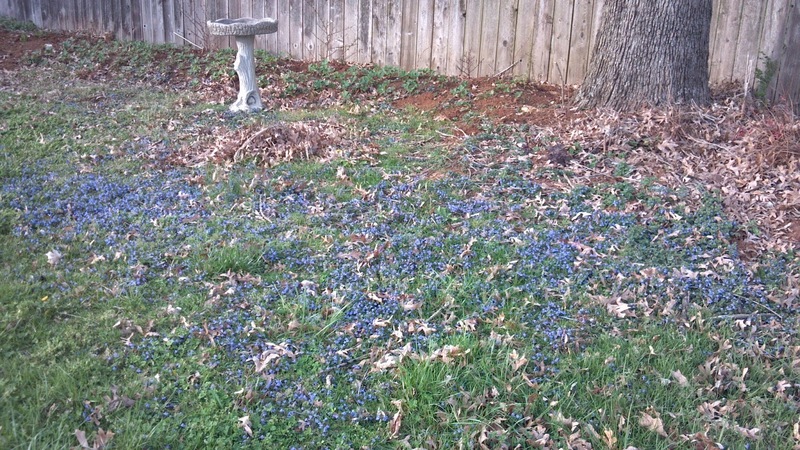 I'm not sure what the blue flowers are, but they make a pretty carpet for this area. It'll be a shame to mow them in a few weeks, but it's starting to look overgrown. Not "natural" for a suburban setting.